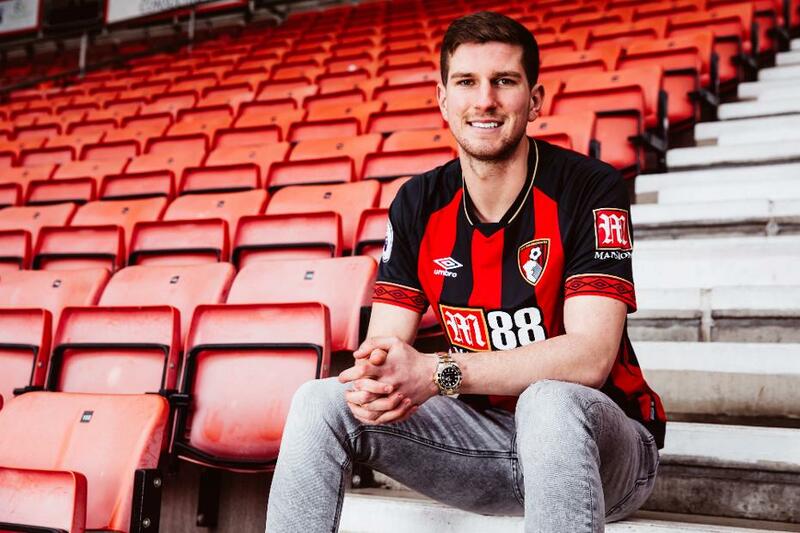 AFC Bournemouth have completed the signing of defender Chris Mepham from Brentford. The Wales international has moved for an undisclosed fee and has signed a long-term contract. "There's so much to like about this club, not least the manager," he told the club's official website. "Eddie Howe is a fantastic manager and what he's done here is remarkable, so to be working under him every day is a really exciting prospect." The 21-year-old centre-back, who can also play at right-back, has made 43 Championship appearances for Brentford since making his debut in January 2017. He has been capped four times by Wales. "Chris is a talented, young defender who has been on our radar for some time, so I am delighted he is finally our player," Howe said. "Chris is a good defender and comfortable on the ball. We believe this is the perfect environment to continue his development." The former Chelsea academy player becomes Howe's third signing of the January transfer window after the arrivals of Dominic Solanke and Nathaniel Clyne from Liverpool. AFC Bournemouth are next in Premier League action on 30 January when they host Chelsea.